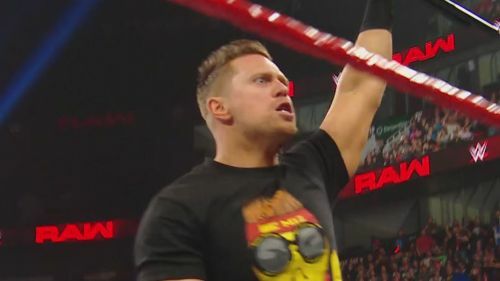 The Miz was drafted over to Monday Night Raw this past week in the middle of a feud with Shane McMahon, but it appears that WWE had their reasons for this change. The Miz lost his match to Shane McMahon back at WrestleMania when he was sent off the platform by The Commissioner of SmackDown Live. This left Miz in a position where he was still looking for revenge after the way that McMahon had attacked Miz's father back at Fastlane. Mr. Miz involved himself in the match at WrestleMania but was unable to help his son pick up the much-needed win and the rivalry between the two men has since continued on SmackDown Live over the past week. It was a shock to see Miz moved over to Raw in the middle of his feud with Shane McMahon, but according to a report by Bryan Alvarez on Figure Four Daily, WWE needed to move Miz over to the flagship show because the ratings of the latest season of Miz and Mrs haven't been up to scratch. WWE reportedly needed that extra day to promote the show so that the ratings could improve, since they are much lower this season than the company anticipated. Miz's feud with Shane McMahon obviously ended when he was moved over to Raw, but that doesn't mean that the former World Champion can't pick up another interesting feud and leave himself in a position where he is the frontrunner in the company once again, which would definitely help his ratings.